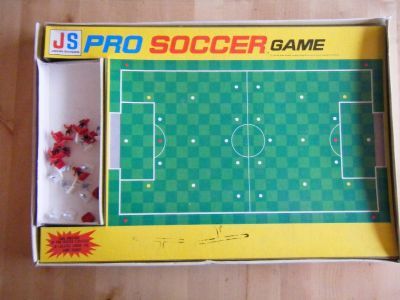 Another version of the MB Games Pro Soccer game originally made for the US market. 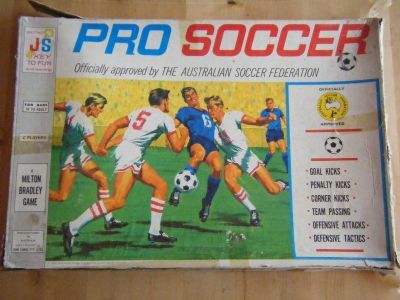 This one was made for the Australian market instead but the gameplay is identical. 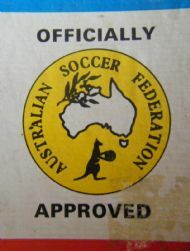 Similar to the US version in design only the company name is different. 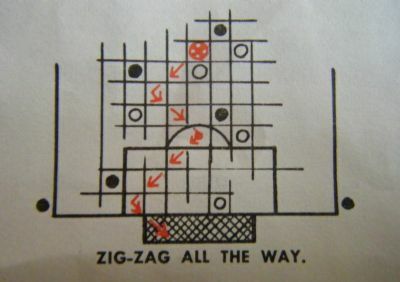 Good Sixties footie illustration. 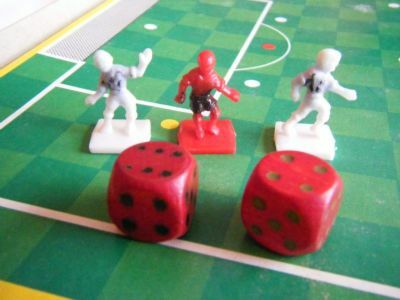 A really simple game - pitch, 2 teams of figures, balls and dice plus instructions. The teams are HO/OO sized figures in crudely moulded poses. Go on a mazy son!